Material Of The Future is a labor of love for dozens of people. Artists, musicians, colorists, sound designers, producers and everyone in between and beyond have donated their time and talents (some for 5 years!) to making this film possible. Without them, this film would not exist. Vern shoots a scene at the K-Show in Dusseldorf, Germany. Hand sorting bottles in China. The shocking insides of an albatross on Midway Atoll. 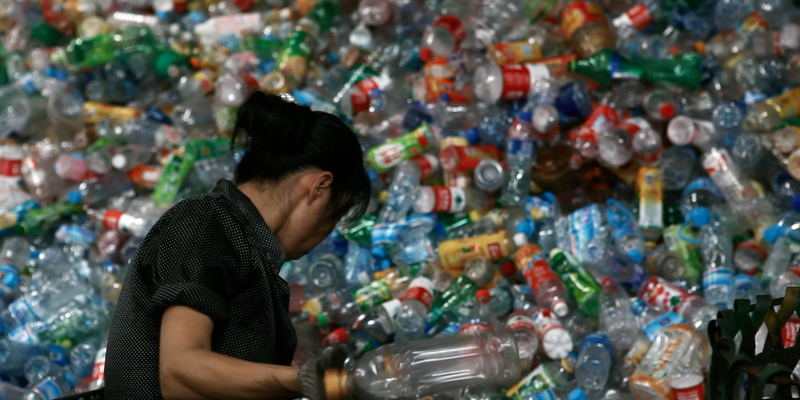 A literal mountain of bottles in China are hand sorted before being recycled. Phillipe Decille walks us through his museum of plastics. Brussels, Belgium. Fresh plastic cups on their way to living single-use lives before retiring for hundreds of years in a dump. The inspiration for our film poster.